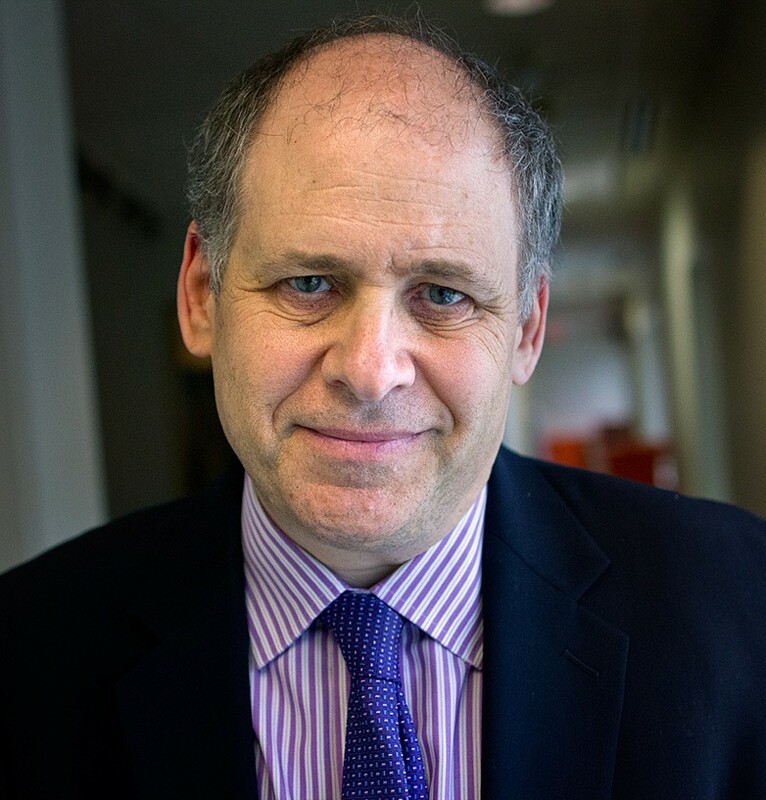 Jonathan Alter Interview: "Much More of the Conversation Needs to Be About That Trump Is a Threat to Our Republic"
Jonathan Alter is an analyst and contributing correspondent for NBC News and MSNBC. He is a former senior editor and columnist for Newsweek, where he worked for twenty-eight years, writing more than fifty cover stories. Alter has also written for The New York Times, The Washington Post, The Atlantic, Vanity Fair, The New Republic, and other publications. He is the author of The Promise: President Obama, Year One, The Defining Moment: FDR’s Hundred Days and The Triumph of Hope, The Center Holds: Obama and His Enemies and Between the Lines: A View Inside American Politics, People and Culture, a collection of his Newsweek columns. Melissa Parker (Smashing Interviews Magazine): Jonathan, when we spoke a couple of years ago, you told me then that there were a number of people who may run as Republicans. Has everything gone the way you thought it would, or have there been surprises you never could have predicted? Jonathan Alter: (laughs) If anybody would have predicted three years ago that Donald Trump would be on the threshold of winning the Republican nomination, they would have been dismissed as a kook. I realized last June, on the day he announced his candidacy, that he was a dangerous man. I went on MSNBC and said as much after his announcement speech, which I didn’t think was funny or just a nuisance. I thought it was a threat, a danger to the hidden veneer of civilization that allows us to all live in peace and to not be ripped apart and prone to destroying the foundation that made the country successful and generous. He’s a threat to the republic, and that’s the big story. I understand all the analysis about where the Trump support comes from. That’s all fine, and a lot of it is accurate, even some of what Trump says has a kernel of truth to it. But much more of the conversation needs to be about that Trump is a threat to our republic. I think The Boston Globe did a good job in their parody of what would happen if Trump became president, except it wasn’t a parody. It was a pretty straightforward description of what would happen if he became president, and I thought it was important that they didn’t put it out on April Fool’s Day because if wasn’t a joke. It was a great way of conveying something that people haven’t been paying attention to, which is what it would really take to deport 11,000,000 people. I think The Boston Globe said it would take 900,000 new immigration officials. The story went right down the list of all the things Trump has said, and it did what journalism is supposed to do, which is to project forward as to what would actually happen if he was able to get his hands on the reins of power. Melissa Parker (Smashing Interviews Magazine): In that satirical piece, one of the headlines read, “US Soldiers Refuse to Kill ISIS Families.” Trump alluded to killing the terrorist families in order to win the fight against ISIS in some of his speeches. Jonathan Alter: Right. As Commander in Chief, Trump could issue orders. It would take this kind of active insubordination, and we don’t know where that would go. Gen. Hayden, who was head of the CIA, said that there would be a disobeying of those orders made by President Trump because soldiers are not required to carry out orders that are an assault on the traditions of our country. You get into a very tricky area because some people would be carrying out the orders, and other people would not. Some people can say, “Well, Trump doesn’t really mean that.” There’s a lot of totalitarianism figures who said things that were dismissed at the time as comic and unrealistic. Then when they got power, the public found out that when they said those things, that’s exactly what they thought and believed. Melissa Parker (Smashing Interviews Magazine): Do you think the Republican race will end in a contested convention? Jonathan Alter: I think it’s very hard to know right now. It depends on how many delegates Trump has going into the convention. If he’s a dozen short of 1,237, he can find those votes. If he’s 100 short, it’s going to be a lot harder for him. Then we’ll likely go to a second ballot. I don’t think Trump will be nominated if he doesn’t win on the first ballot. Melissa Parker (Smashing Interviews Magazine): Trump is calling the Cruz delegate strategy crooked, picking off delegates one by one, saying that’s not the way democracy is supposed to work, that it’s a rigged system. Are there any federal rules regarding bribing delegates? Jonathan Alter: There are no federal rules. Political parties are not in our Constitution, and they’re not governed by federal law. But you’re talking about in terms of what he can promise them. I don’t believe that there are rules. That’s a really good question. At what point does it become bribery? This is a very interesting area of the law right now. Political deals have been made forever. You get promised a cabinet position or something in exchange for your support. It would be criminalizing politics to say that you can’t do that. Political parties are private clubs. If you say I want to pay you to join my private club, or I’m going to give you a free vacation if you sign up to join my organization, that’s not a bribe. It’s just the way the world works. A lot of people may see them as bribes because they see these delegates as quasi-officials. Some of them are office holders, which may complicate it, but a lot of them are not. I guess the easiest way to think about it is that if somebody from the Libertarian Party said to a Libertarian who worked at an insurance company, “I want to fly you to Florida and put you up as I try to convince you to support me for president.” What law would that conceivably break? What’s happened is we’ve kind of conflated our political parties with our constitutionally determined elections. Primaries didn’t begin until about 100 years ago. Until the last 25 years, there were only a few of them. They’re governed by state law. There’s no federal involvement in primary campaigns except as it relates to campaign finance. But I’m not a lawyer, so I’m not the right person to answer this. I’m sure that people will raise objections to it, if Trump does try to wine and dine delegates. I think he’ll just say, “There’s nothing wrong with my doing it.” What’s really wrong is when you win the votes somewhere and don’t get the delegates. From a common sense perspective, people have come to expect that the candidate with the most votes gets the most delegates. But the candidate who gets the most popular votes in a presidential election doesn’t necessarily get elected, as we learned in 2000 when George Bush had 500,000 fewer votes than Al Gore. Melissa Parker (Smashing Interviews Magazine): President Obama said that Hillary Clinton never jeopardized national security, but he said that there was “a carelessness” to using personal emails for State Department matters. Is there still a chance that Clinton can be indicted? Jonathan Alter: There’s a federal investigation that’s underway that the FBI is conducting. Anytime there’s a federal investigation, there’s always a chance of indictment. I wouldn’t say it’s a strong chance, but you can’t eliminate the possibility altogether. I think the real danger to her is that even if she’s not indicted, they leak details of that investigation and maybe go public objecting to the fact that she wasn’t indicted. If that happens, this matter won’t be put to rest even if she’s not indicted. Even if there are no leaks, if the Obama Administration comes back and says, “There’s not enough evidence to indict,” the Republicans will just believe the fix was in on that even though FBI Director Comey served originally in the Bush Administration as Deputy Attorney General. He’s not exactly a liberal Democrat. But you can expect that the Republicans will just ignore that if the US Attorney doesn’t recommend an indictment. Melissa Parker (Smashing Interviews Magazine): What will President Obama’s legacy be? Jonathan Alter: I think he will be seen as in the top 20% of American presidents. He was dealt a very bad hand when he came into office, and we were headed for another great depression, without any exaggeration, if there was not major intervention in the American economy. He was opposed by the Republicans at every turn as he tried to prevent that depression. He overcame that opposition in his first year, which is what I wrote about in my first Obama book. He pushed through an unpopular stimulus, an unpopular auto bailout, an unpopular healthcare reform and an unpopular reform of the financial system, among other pieces of legislation. Despite almost unanimous partisan opposition, despite large-scale public opposition, all of these major pieces of legislation worked (laughs). History will record that they worked. If you put on top of that, that he had a fine, cool temperament for leadership and that he inspires millions of people, that he broke a barrier that most people never expected to see broken in their lifetimes and presided in a White House that was built by slaves, he’s an historical figure. Melissa Parker (Smashing Interviews Magazine): And we’ve heard his singing voice, which is not too bad (laughs). Jonathan Alter: (laughs) And a great singing voice. There are things about his temperament that impeded him. He could have done a better job in handling Congress, but the opposition to him was so implacable and the polarization was so beyond his control, that I think history will overlook a lot of that and focus on his record and his connection to at least half of the American public, and that will put him in very good stead. Obviously, you’ll have critical historians. There always are. Many of the things that people don’t like about him right now are the same kinds of things people didn’t like about Harry Truman or other presidents that ended up being seen as first-rate. Melissa Parker (Smashing Interviews Magazine): President Obama said his lack of a “day after” plan in Libya probably was his biggest mistake in office, not to adequately plan for the aid and governing of Libya after the US-led NATO attacks in 2011. Jonathan Alter: Yes. I think his foreign policy record is mixed. He didn’t plan for Libya and Syria, and what happened there is a serious blot on his foreign policy legacy. He can offer explanations about why it was right that we didn’t intervene in Syria, but there has been a human rights calamity there with more than 200,000 dead, and the US has historically stood for trying to prevent that kind of thing from happening. I think right now he’s just talking about Libya, but I think as time goes on, and after he leaves office, he’ll feel the same way as President Clinton when he regretted not intervening in Rwanda. I think President Obama will look back and wonder if there are other things that he should’ve done in Syria. Melissa Parker (Smashing Interviews Magazine): What are your feelings about Mississippi’s “Religious Freedom” bill viewed by many as an open invitation to discriminate against the LGBT community? Jonathan Alter: This has been happening in several states. I think it’s surprising that there hasn’t been more of a reaction to the idea of gay marriage being the law of the land after the Supreme Court decision. This is a huge shift in ten years in public attitudes and legal opinions about the ancient institutions of marriage. Historians will look back and say, “This was a huge change.” That normally creates a lot of reaction and acrimony. In this case, it did not, except that there were these other reactions to homosexuality. I think that eventually these laws like Mississippi has will be declared unconstitutional. They’re discriminating. You can choose not to buy something from somebody, but if you choose not to sell something to somebody, you are discriminating in the same way you chose not to sell the food in your cafeteria to black people in the 1960s. You were discriminating then also. During the Civil Rights movement in Mississippi and elsewhere, you had many defenders of segregation, saying it was a matter of religious conscience, that the Bible told them that blacks were inferior and that they were simply following the dictates of their religious conscience in refusing to serve blacks. So, what we’re in now is just a variation on that, and you’re going to see laws in various states tested in court. They might survive for a while, but they won’t survive for long because they’re unconstitutional. If you go into what happens with Obamacare and that kind of thing, those sorts of exceptions, so that the government or a federal program doesn’t compel use of contraceptives or whatever, this will be argued out for a long time. But that’s a very different question from whether a florist can say, “No. I won’t provide flowers for your wedding because you’re gay.” That’s just rank discrimination. There’s a legitimate religious exception taken to the government forcing certain provisions to be made under Obamacare, and I don’t happen to side with the people who want those religious exceptions, but I think reasonable people can differ on that. Those are thorny legal issues that will be sorted through. When it comes to something where a product or service is not a violation of conscience, that you’re just refusing to sell to somebody you don’t like, that’s not religious conscience really in any tradition. Melissa Parker (Smashing Interviews Magazine): Here’s the all important question, Jonathan. Will Alpha House return? Jonathan Alter: It doesn’t seem to be coming back. It’s up to Amazon, but it doesn’t seem to be coming back right now. But hope springs eternal. If enough people like you demand it back, maybe you will see it again. We would certainly be willing to continue. Melissa Parker (Smashing Interviews Magazine): Tell me about your radio show, Alter Family Politics. Jonathan Alter: My wife and I have three kids, and my wife didn’t want to take part in this Sirius radio show, but I do with my two older kids, Charlotte, who’s 26, and Tommy who’s 24. Charlotte is a writer for Time magazine, and Tommy is a producer for Comedy Central. The three of us, sometimes with the help of my youngest daughter Molly, who’s a college student, do a radio show once a week on Thursdays at 8:00 AM on SiriusXM Radio Andy 102. It’s about politics. We have great guests from both the Democrat and Republican parties and a lot of other fascinating guests. It’s on Andy Cohen’s radio station. He’s the host of Watch What Happens: Live and a Bravo executive. He’s an old family friend, and he thought my kids and I would have a fun radio show. The pattern is sort of your standard sitcom where the kids make fun of the dad. There’s a lot of that. I’ve got some other things going on. I’m working on a documentary about the legendary journalists Jimmy Breslin and Pete Hamill, New York icons of journalism, who, especially from the 1960s to 1980s, were very well known. They were gritty, urban newspaper columnists, and we wanted to make a film about them before they moved on. Jimmy is 85 and Pete is 80. I’m writing a biography of Jimmy Carter, which is what I was working on when you called. That takes up a lot of my time. Melissa Parker (Smashing Interviews Magazine): What a remarkable humanitarian, and he’s still going strong at 91? Jonathan Alter: Yes, he is. He’s out there building houses. I built a house with President and Mrs. Carter in Memphis last year. That was really interesting. I spent a fair amount of time with both of them and other people in their family. This is only the second biography that’s ever been written about him. Most presidents have many biographies written. In addition to my work at MSNBC and The Daily Beast, the documentary and especially this book is really what I’m spending my time on.